Garden Bytes from the Big Apple: Enter to win big prizes! I'm taking a poll. And I'd sincerely appreciate your input. In fact, I'm prepared to bribe you for your participation. Some background: My first plant crush was a peace lily. While I've moved beyond the Spathiphyllum, I still love indoor plants and wouldn't be without them. Couldn't be without them. I realize many gardeners take an extended break in winter, putting aside their pruners and gloves till spring comes 'round again, but not me. Now is when I focus on my indoor landscape, and over the next few months you'll be getting your fill of houseplant posts. 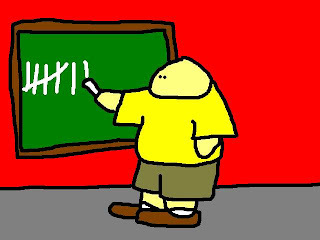 But back to my poll. I'm a houseplant expert. There, I admit it. I'm working on a book proposal for a houseplant book. A very big houseplant book. A houseplant book that includes everything anyone could ever want to know about every possible houseplant. What I want to know is: What are YOU looking for in a houseplant book? Send me your ideas and inspirations, and if I haven't already thought of them (you'll have to trust me on this), I'll give you a prize. 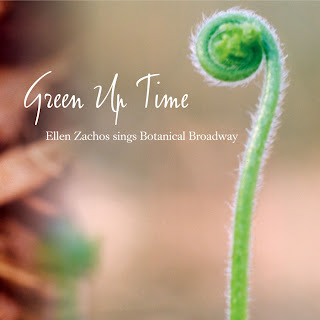 In exchange for your suggestion, I'll send you a copy of my CD: Green Up Time: A Botanical Look at Broadway. It's a collection of show tunes about flowers and plants; a project that combines my first career (on B'way) with my second (in horticulture). If you want to listen to a few excerpts to see if it's worth your while, go here. If you already have a copy of my CD (what are the chances?!) let me know and I'll come up with some other swell thank you gift. I look forward to hearing from you. Really, I do. Yes, I love the CD too! Every gardener should have one. And as to the houseplant book, I have only low light and a forgetful watering wont, so I need to know all about the tough guys. For instance, I instantly kill some begonias, but other begonias thrive for me. ...not sure what the difference is. My eyelash begonia is unkillable! and the escargot guys all croak instantly. Deb and Jane, thanks for your kind words about my CD. Jane, I'm definitely planning to include a section on the hard as nails plants that really tough to kill. As for your begonia question: 'Escargot' is my favorite rex begonia. It's a gorgeous plant, but needs higher humidity than many other begonias which makes it tough to keep going indoors in winter.